This graph shows the percentage of U.S. nonprofit organizations that reached their fundraising goals for the 2011 and 2012 fiscal years. 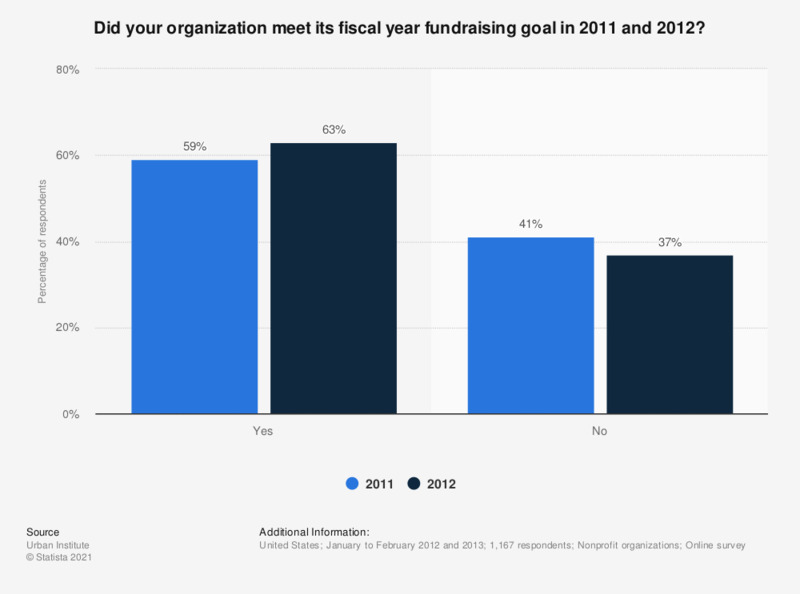 59 percent of nonprofit organizations confirmed that they had reached their fundraising goals for 2011. In 2012, the share went up to 63 percent.